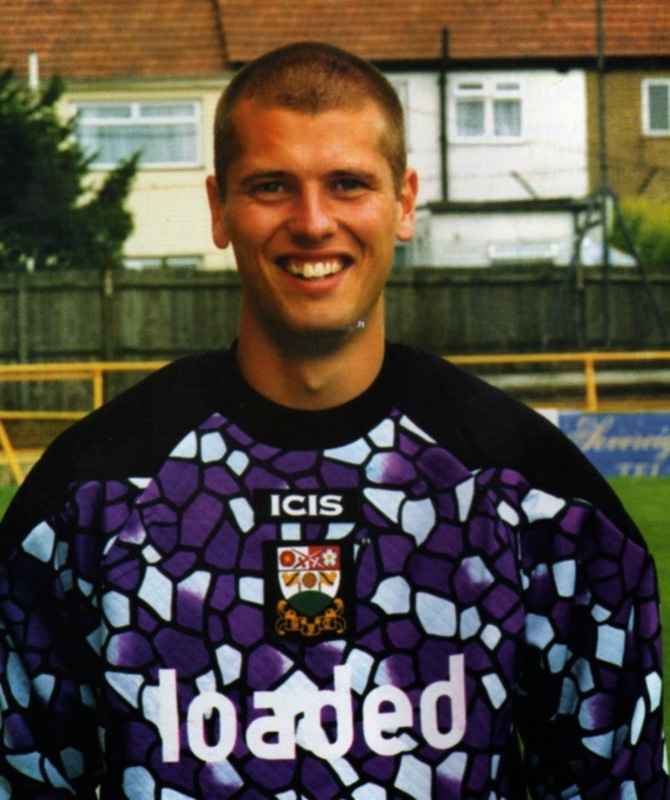 In the spotlight is a goalkeeper who I can state without fear of contradiction is the favourite Barnet player of all time of literately hundreds of Bees supporters and a gentleman who I am privileged to call a close friend”. Lee David Harrison was born in Billericay in 1971 and started his footballing career with Basildon District Schools before playing for Essex and London Schools alongside his long time friend Ian Hendon. Signing as a youth at Lennie Lawrence managed Charlton Athletic he failed to break into the first team but played with a very young future Bee, Gary Breen. “Bob Bolder was the first choice keeper and had been for four seasons plus Mike Salmon was his reserve so it was tough” said Lee. “Not many people remember that I played a few times for Welling United on loan the season that Barnet won promotion to the Football League (1990-91) and just missed out playing against them”. Loan spells at Fulham and Gillingham followed before a permanent move to Craven Cottage in 1992 where he made 12 appearances. “I was recommended to Don McKay and had a great time at Fulham, there was some outstanding players there”. While at Fulham Lee became a UEFA "A" qualified outfield coach at the age of 21, and he is now also a UEFA "A" qualified goalkeeper coach. 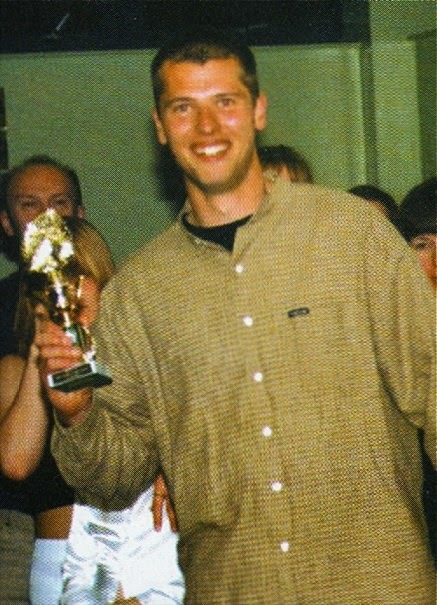 Ray Clemence was responsible for Lee's move to Underhill in the Summer of 1996 as understudy to Maik Taylor but unfortunately Ray moved on to the goalkeeping coach for the England team just days before the new season started. “That was disappointing as Clem was my hero as a boy” says Lee. “Terry Bullivant, who took over made me feel welcome though”. Lee Harrison, Sam Stockley, Jamie Campbell, Lee Howarth, Linvoy Primus, Gary Patterson, Alan Pardew, Phil Simpson, Kevin Rattray, Sean Devine, Dean Samuels. Subs: Micky Tomlinson, Lee Hodges, Robert Codner. By the end of that season Lee had made 22 appearances and was voted by the Supporters as “Most Improved Player” thus, the love affair had begun! As Lee's sponsors, the Curry Club - a group of friends on the East Terrace - apprehensively asked whether he might might fancy a night out with our “Wags” at our regular Indian Restaurant haunt the New Curry Centre in Barnet? Expecting a polite excuse he replied “Sure, love to lads, can I bring my Girlfriend?” and he just became part of the gang. Our friendship has continued to this day, and I have even slept in his bed! With my own wife after a house party I hasten to add. Over the next three seasons Harrison or “Harry” become an icon at Underhill as he made a further 150 appearances and was voted “Player of the Season” three consecutive times. That I wager will never be equalled. He was hero worshipped by the youngsters on the North Terrace especially, and at the final whistle would applaud them and have a quick chat before making the effort to then always applaud the remainder of the ground whatever the result or the quality of his performance. You could seek him out after a game and he would always oblige with polite and respectful conversation. Any Supporters Club evenings that needed player support you could always count on him to be there or at least organise something to help. He loves a Chicken Rogan Josh and a Cobra Beer too! There were so many simply brilliant displays of shot stopping and point blank reflexes that one became to expect it of Harry, however he will be the first to admit the weakness in his game was crosses – in a quirky way that worked out an advantage to Barnet FC! Under the management of John Still Lee suffered the disappointment of loosing two semi final play-offs while at Underhill, firstly to Colchester United in 1998 and then to Peterborough United in 2000. The relegation season in 2000-1 was one ironically hampered by injury and Danny Naisbitt spent most of the season between the sticks. In the final “decider” game of the season at home to Torquay United a win was vital for both clubs to survive in the League. Lee started the game but has cruelly injured after just three minutes and was substituted – with the greatest of respect to Naisbitt, a fine goalkeeper, could the story have had a different ending? Into the Vauxhall Conference and a further 41 appearances for Lee helping Barnet to a respectable 5th place finish. Yet in season 2002-3 Naisbitt was given the nod by new Manager Peter Shreeves and in December 2002 Lee was loaned out to Peterborough United. “I was at London Road for 3 months and a dozen games and although I missed everybody at Barnet it was a fresh approach to playing and I did enjoy it”. Returning to Underhill in March Lee was then immediately loaned to Leyton Orient and soon a £10,000 deal was struck up for a permanent move to Brisbane Road with O's Manager Paul Brush. The Honeymoon was over. 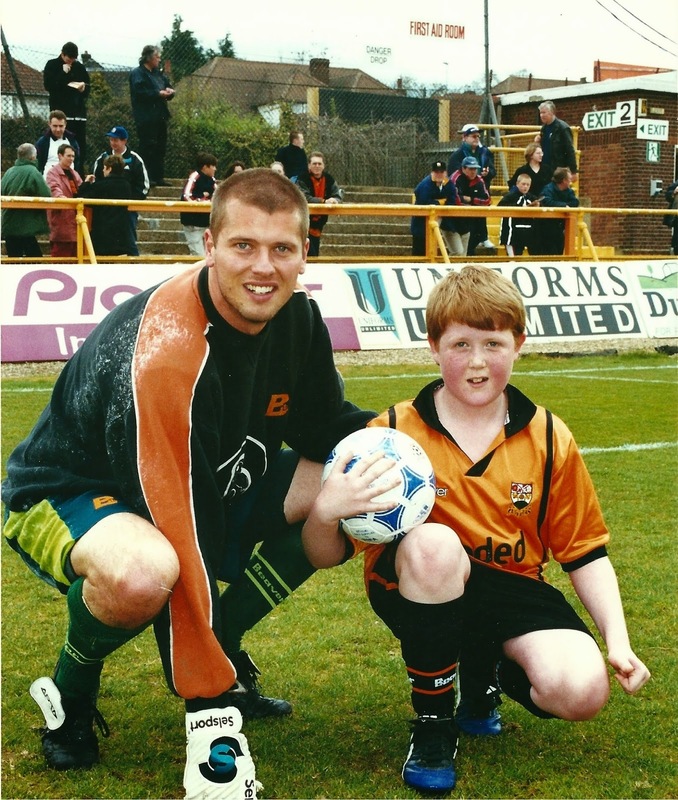 Harrison briefly returned to London Road in June 2005 but only made a handful of appearances in just over a year before returning home to Underhill in July 2006 to heroic cheers taking up the position of Player-Coach. He was proudly made club Captain for season 2007-8 by Paul Fairclough and in this second spell at the club he enhanced his reputation with the fans even further by attaining the feat of making 300 league appearances for the club on 15th July 2007. A huge banner adorned on the North Terrace fence for the match . He was only the fifth player in the last 30 years to achieve this feat for Barnet and took his place of immortality alongside Gary Phillips, Paul Wilson, Kevin Millett, Nicky Evans and Edwin Stein. Lee's final appearance for Barnet was on the 18th April 2009 when the following line up drew 1-1 with Luton Town. Lee Harrison, Joe Devera, Michael Leary, Gary Breen, Kenny Gillett, Yannick Bolaise, Albert Adomah, Joe Tabiri, Neal Bishop, Adam Birchall, Paul Furlong. Although still registered as a player Lee spent the 2009-10 season as assistant to Manager Ian Hendon and didn't make any first team appearances. Harrison was released at the end of the 2009/10 season and briefly joined John Still at Dagenham and Redbridge as a coach for their successful play-off campaign. He then signed a playing contract with Hayes & Yeading in the Conference South August 2010 were he made around 30 appearances. Lee's current employment is as goalkeeping coach at Wycombe Wanderers in League 2 and is still listed as a player at the ripe old age of 41 being given the number 21 shirt. “I warm the bench every week ready to go if I get the call and who knows I may even one day get to play on that pitch at Underhill again which will always be a very special place”. 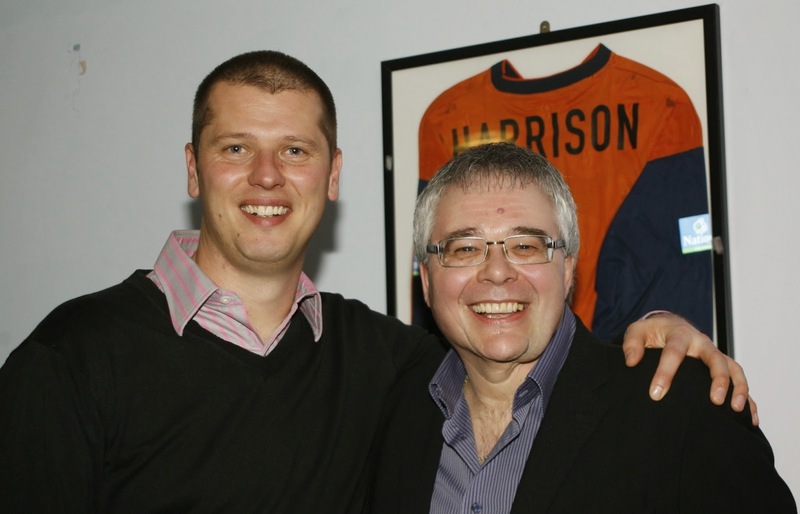 Any ex comrade from any of Harry's clubs will extol the virtues of Lee, his decency and his commitment and from a fans angle he was certainly one of the most down to earth, genuine people to have ever graced Underhill, certainly in my time as a supporter and he deserves every acknowledgement and morsel of praise he receives from the Barnet family. A wonderful ambassador for our club. (c) Reckless 2014. Simple theme. Powered by Blogger.